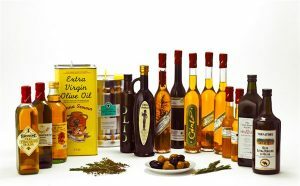 Anyone coming from the Mediterranean would tell you about the health benefits, as well as the wonderful flavour, of a good dose of olive oil on salads, pasta, fish and almost anything else. Olive oil is made from the crushing and then subsequent pressing of olives. The fact that olives are rich in oil is reflected in the botanical name of the olive tree – Olea europea – since the word “oleum” means oil in Latin. Extra virgin olive oil is derived from the first cold pressing of the olives and has the most delicate flavour and most antioxidant benefits.